I am glad we have been so busy but I have missed keeping up with our blog! 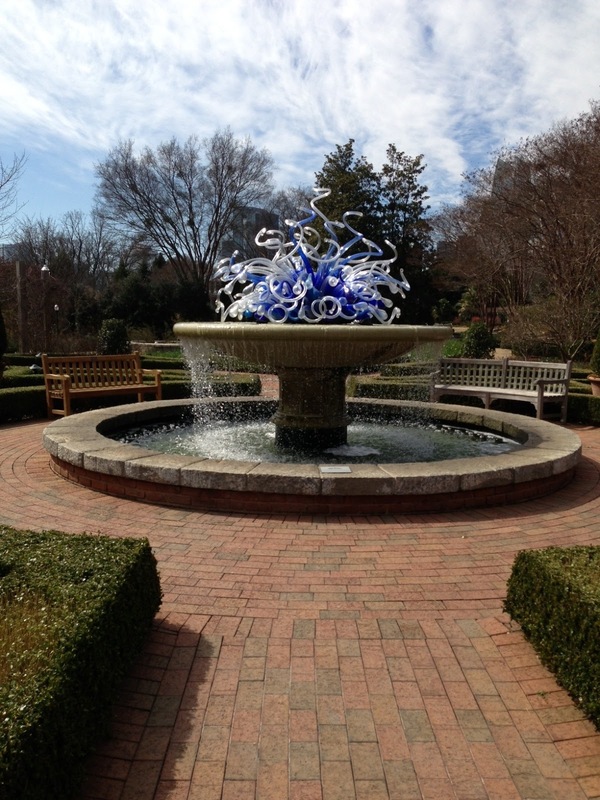 So I thought I would share this beautiful fountain sculpture with our readers. 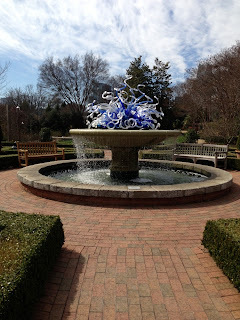 Chuhullie is an amazing artist and lunch out here at the Atlanta Botanical Gardens was the perfect way to spend a FINALLY sunny afternoon. The Outdoor Lights has partnered with the ABG on several occassions and it is always a real treat. I love that my position allows me to witness all that artistry, architecture and nature has to offer!